Micellaire water has infiltrated the beauty industry’s shelves and after using this magical product I want to know how it removes make-up so easily while claiming to be packed with natural ingredients. Is it really as good for our skin as we think? I have been using Biodermas Micellaire water for a few years now and I have been really happy with the results. It feels gentle on the skin, removes make-up really easily and unlike other removers leaves your skin oil-free. It is great for oily skin, actually it has the texture of water so its great for all skin types. The formula was created in the 90’s in Paris to help Parisian women have an alternative to the regions harsh water. I decided to research this formula because I personally could not believe that it doesn’t contain harsh chemicals as the way it strips your make-up is insane! Darphin’s Education Manager, Emma Schulz, says ‘micellaire cleansing waters have mostly been adapted for sensitive skin and have been formulated with mild and non-irritating surfactants, suitable thanks to their gentleness.’ I find with Bioderma’s Micellaire water, if I wear full make-up, I need 5 cotton pads before I can wipe my face and there is no residue however yesterday I tried Sephora’s and after 2 pads my face was squeaky clean! It felt so gentle but I kept thinking there must be paint stripper in it because I was literally amazed. Having researched its origins I know that they were trying to create something less harsh then water so it obviously does have minimal chemicals however each brand has their own formula. Sephora’s Micellaire water has a few more chemicals in it and a lot more natural things too actually, but just generally more ingredients. Bioderma’s is created for sensitive skin and so ingredients are simple and minimal, I personally have decided to keep both products stocked on my beauty shelf. After a night out I start taking off my make-up and can’t be bothered to finish because I am exhausted so after one or two cotton pads I get into bed. I will save Sephora’s Micellaire for those nights and use Bioderma’s when I have more time to remove my make-up. That reminds me, I bought a Clarisonic which achieves a make-up free exfoliated face in one minute so obviously that is my other option but I need a separate Clarisonic blog so you can hear about that next time. For all my party girls…and lazy girls, grab yourself a bottle of Micellaire, there are many brands that make them but these are the two I have tried and tested. Banish those cleansing wipes from your skincare regime, they are NOT good for your skin. If you use them because they are easy and save time, instead place some cotton pads in a zip lock bag and pour in some micellaire water so they are ready for those nights when you just can’t be bothered. Stubborn make-up can be easily removed however for waterproof make-up I still recommend using an eye make-up remover, micellaire does say that it can be used on eyes but I still find mascara hard to remove and rubbing lashes too much is not good for them. For the last few weeks I haven’t been using an eye make-up remover, just washing my face and micellaire for any residue but my lashes have reduced dramatically in thickness. If you know me, you know my lashes are probably my best physical attribute and sadly I neglected them. When you sleep in mascara it blocks your hair follicles which doesn’t allow new lashes to come through. It also makes lashes brittle and is just a BIG NO NO!! The oils in eye make-up removers are actually good for your lashes, they condition them overnight. I use Olive Oil to remove waterproof make-up, its great and 100% natural. Using cotton wool is a good technique, Emma explains: ‘The use of cotton pads plays a major role in why they are so effective at removing makeup. Cotton is hydrophilic, and when you pour the micellar solution on the cotton pad, the hydrophilic heads are attracted to the cotton, leaving the hydrophobic tails sticking up to trap oil, wax based substances and dirt, like makeup and sebum. 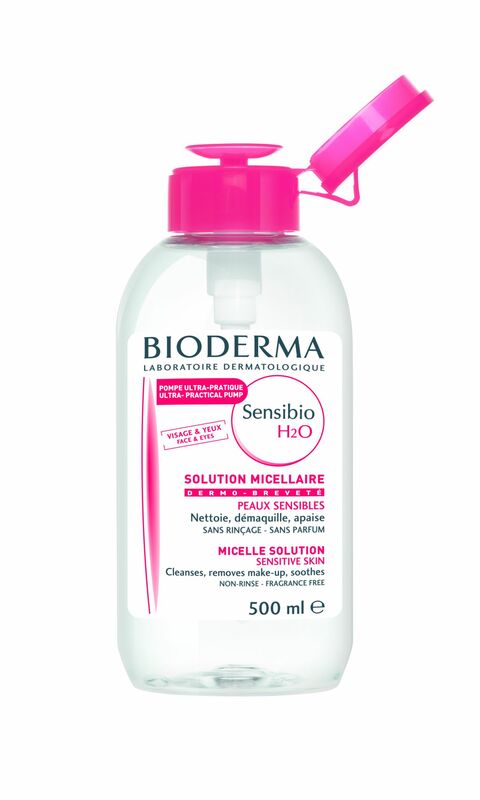 When applied to skin, micellar water and cotton pads cleanse the skin by acting like a magnet, attracting and entrapping impurities without harsh rubbing or scraping.’ This can be backed up by Bernard Pochic a trainer for Bioderma “Micelles are molecules that are made of fatty-acid esters,When you use a cleansing pad, the micelles deploy,” he says. Basically, the composition of the molecules makes them brilliant at trapping and gobbling up make-up, dust and pollution. In conclusion Micellaire had no scaries hiding in the ingredient list, nothing harmful and it is as gentle as it says. Let me know if you have tried any other brands that you would recommend. Kiesza can’t Hideaway from us!